Elizabeth DeAngelis has over 18 years experience training yoga teachers and assistants. She has trained and led assisting teams at the Baptiste Power Yoga Institute both in Boston and world wide. Studios across the country have hired her to train their assistant teams. Elizabeth has also studied Structural Integration, Thai Massage, and Acro Yoga, bringing depth and joy to her understanding of asana. She is also a competitive show jumper and riding trainer which gives her great confidence in movement and touch. Elizabeth is a 500hr Certified Tier 2 Baptiste Teacher, Yoga Alliance E-RYT 500 certified, has a Bachelor’s degree in psychology from Brown University, and is a licensed horse show judge with the United States Equestrian Federation. Elizabeth DeAngelis is a dedicated teacher of Baptiste Power Vinyasa Yoga. She has seen this safe and effective practice reach students from all walks of life, bringing lasting health and personal growth. The clear focus and proven methods of this system allow for great creativity and unlimited possibility. Elizabeth has been practicing since 1998 and teaching since 2000; she is the owner of Cape Ann Power Yoga in Gloucester, MA. Elizabeth with Baron in Tulum, Mexico 2017. This training will immerse you in a classical yoga tradition that is proven to be both healing and transformational. Baptiste Power Vinyasa Yoga is a direct descendent of Astanga and Iyengar Yoga. Baron Baptiste was taught by Patthabi Jois and Iyengar themselves, and he in turn taught Elizabeth. Elizabeth worked closely with Baron for many years training teachers and assistants in his studios and across the country. She is a Tier 2, 750hr Certified Baptiste Teacher and E-RYT 500hr Certified with Yoga Alliance. Baptiste yoga is adaptable for students of all levels, it is grounded in safe alignment, meditation, and self inquiry. Graduates of this training will have the skills to lead students of all levels through a well rounded practice. This training focuses on practical teaching skills including clear communication, assisting, and sequencing. Classic yoga philosophy, anatomy, and yoga businesswill provide a solid foundation for classroom skills. Please feel free to ask us about any scheduling conflicts or concerns, in most cases we can arrange make up work in order for you to be able to take the training! Friday evening sessions include class 5:30-6:30 and study session 6:45-9:00, it is possible to make up that class time elsewhere in the week if needed. Sessions will be held at Cape Ann Power Yoga and our Annex space, both located in the heart of downtown Gloucester. Gloucester is easily accessible by car or train and the studios are an easy walk to lunch, shopping, and errands. Parking is convenient and you'll get to enjoy a beautiful and historic waterfront city. *TUITION INCLUDES UNLIMITED CLASSES AT CAPE ANN POWER YOGA FOR THE DURATION OF THE TRAINING. Elizabeth DeAngelis is a dedicated teacher of Baptiste Power Vinyasa Yoga. She has seen this safe and effective practice reach students from all walks of life, bringing lasting health and personal growth. The clear focus and proven methods of this system allow for great creativity and unlimited possibility. Elizabeth has been practicing since 1998 and teaching since 2000; she is the owner and founder of Cape Ann Power Yoga in Gloucester, MA. WHERE: Cape Ann Power Yoga in the heart of downtown Gloucester . The studio is an easy walk to lunch, shopping, and errands. Parking is convenient and Gloucester is easily accessible by train from Boston. WHY: Choose a program with a clear focus and an experienced leader. You will get physically stronger, be challenged intellectually, and grow emotionally. Our program is fun and our graduates are successful. This training will immerse you in a classical yoga tradition that is proven to be both healing and transformational. Baptiste Power Vinyasa Yoga is a direct descendent of Astanga and Iyengar Yoga. Baron Baptiste was taught by Patthabi Jois and Iyengar themselves, and he in turn has been Elizabeth’s teacher since 2000. Elizabeth worked closely with Baron for many years teaching in his Boston studios and training teachers and assistants in the studios and all across the country. Your studies will be based in a classical yoga system that is adaptable for students of all levels. It is grounded in safe alignment, meditation, and self inquiry. Building on your established teaching skills you’ll expand your expression and refine your connection to students of all levels. Each weekend will include asana practice, meditation, pranayama, practice teaching, coaching for excellence, asana refinement, and assisting practice. Students will buy two assigned books for study during the course, total cost @$45. (There is an optional extra book which is @$30 and students should have three prerequisite books, listed below.) Additional reading will be given in a program binder. For graduates of 200hr programs other than with Cape Ann Yoga School. This pre-program work will ensure that we are all on the same page and can head into our training with a common vision. Read “Journey Into Power” by Baron Baptiste. Be very familiar with the asana sequence laid out in the book. Take 25 Baptiste Power Vinyasa classes with Elizabeth or another Certified Baptiste teacher. Be familiar with Baron Baptiste’s book and program “40 Days to Personal Revolution”. Choose and answer two journaling questions from the end of each week’s chapter. Write at least one page for each answer. Listen to all of Baron’s “Meditations for 40 Days”, available on iTunes. Elizabeth DeAngelis has over 15 years experience training yoga teachers and assistants. She has trained and led assisting teams at the Baptiste Power Yoga Institute both in Boston and world wide. Studios across the country have hired her to train their assistant teams. Elizabeth has also studied Structural Integration, Thai Massage, and Acro Yoga, bringing depth and joy to her understanding of asana. She is also a competitive show jumper and riding trainer which gives her great confidence in movement and touch. This program is an amazing opportunity for teachers of all levels to continue their growth and education. Experienced teachers can enjoy community and conversation in a positive atmosphere. Newer teachers will continue to strengthen their skills and hone their listening. Recent graduates have an opportunity to test their wings in a supportive setting. Participants will each have an opportunity to teach a class at CAPY with the guidance of Hayley Haberman. After the class Hayley will give supportive and educational feedback for the benefit of the whole group. Elizabeth will lead three additional trainings during the program. This program will use Baron Baptiste's Journey into Power as foundation. You'll get an overview of the series before the first class and will be asked to teach from that sequence. 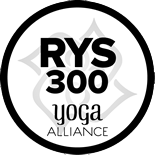 $350 or $300 for graduates of Cape Ann Yoga School (200hr with Elizabeth DeAngelis) Monthly unlimited members pay $250 or $200 for CAPY graduates. 21 CEU for maintaining your Yoga Alliance registration. Train with Master teacher Elizabeth DeAngelis. With over 15 years experience training assistants, Elizabeth is a recognized leader in the field. You will leave this workshop confident in your ability to approach students of all levels and make a positive connection. Interested students and new teachers should take both sessions, experienced teachers may enroll in just the second session. Both trainings will be interesting and engaging for both yoga teachers and interested students. Assisting Foundations will review the basic principles and techniques of hands on assists. We’ll discuss basic biomechanics and student interactions. We’ll focus on the quality and effectiveness of basic assists using hands on practice and partner feedback. Interested students and new teachers should take this session and may also take the next. Experienced teachers will also enjoy this review and chance to get feedback on their assists. Advancing Assists will be an entirely hands on training. We’ll build on the foundations of basic assists and student interactions, bringing in more sophisticated and educational skills. In this session we’ll review assisting in flow and how to integrate assisting with teaching. Partner feedback and detailed instruction from Elizabeth will bring your assisting skills to the next level. These workshops will be hands on. Under Elizabeth's guidance you will practice effective and safe assists for several common yoga poses. From that foundation you will be able to approach any pose and give a good assist.